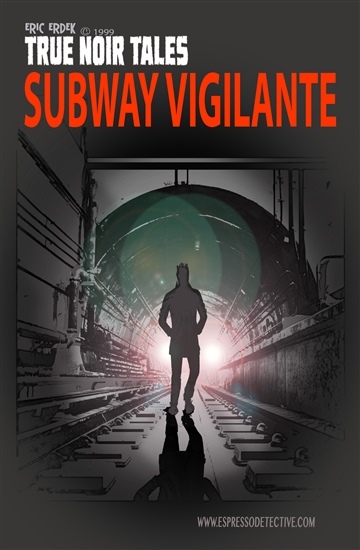 SUBWAY VIGILANTE COMIC is a one-shot,15 page Noir Comic based on a true life story. 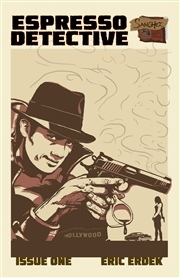 NYC 1994, the year Kurt Cobain died, Pulp Fiction premiered in theaters and a vigilante roamed the subways. I’ve been directing thousands of actors over the past 20 odd years. I work in casting as session director and less so as casting director. The comic book part goes back to my first memories. I’m a dyed in the wool comic nerd. My comic book creating is much more recent. I’ve been a pro for the past 10 years. To my credit is a cover to Heavy Metal Magazine (back cover, but still…) I’ve attended ComicCon as a pro for many years, but my main deal is the Espresso Detective Comic. I don’t look it, but I am half Latino, speak Spanish (native) the other half is New Yorker. (Yes, that is an ethnic group... really.) I have a deep love affair with espresso coffee and my motor revs at the site of cafe racer bikes and blues music. I now reside in Los Angeles with my stunning, genius wife and two stunning, genius cats.